We offer three day, four day, and five day options. All grades/levels welcome. Activities include Bughouse, Blitz Chess, Game in 30, Puzzle Solving, Game Analysis, Tactics Workshop and much more! Early drop-off (8:15am) and late pickup (4:30pm) available, lunch NOT provided. Facility membership is *required* as this is a multi-day event! We are running a rare, limited Summer Camp Special. 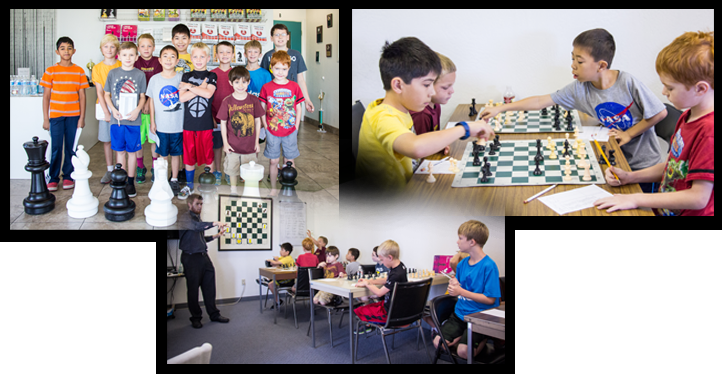 Register for any Summer Camp (minimum 3 days) and Receive a Free Chess4Life assessment! Offer is per student (place Camp and Assessment in cart to receive discount). © 2019 - Chess Emporium LLC.